What is Canine Coronavirus (CCV) Infection? CCV is a highly contagious intestinal disease specific to dogs and occurs worldwide. The virus is an intestinal disease and replicates itself inside the small intestine. It’s a fairly mild disease but if a CCV infection coincides with another intestinal infection such as canine parvovirus, it can be much more serious. What are the symptoms of CCV? What are the causes of CCV? Most common cause of CCV is exposure to faeces (feces) from an infected dog. The virus can remain in the body and be shed in the dog’s faeces for up to 6 months. The virus can survive for a couple of days in the environment but is killed by sunlight, heat and drying. It will survive for longer in freezing temperatures. What are the risk factors of CCV? Stress and lack of hygiene can make a dog more susceptible to contracting the virus. In puppies and dogs with an already weakened immune system it can on rare occasions be fatal. 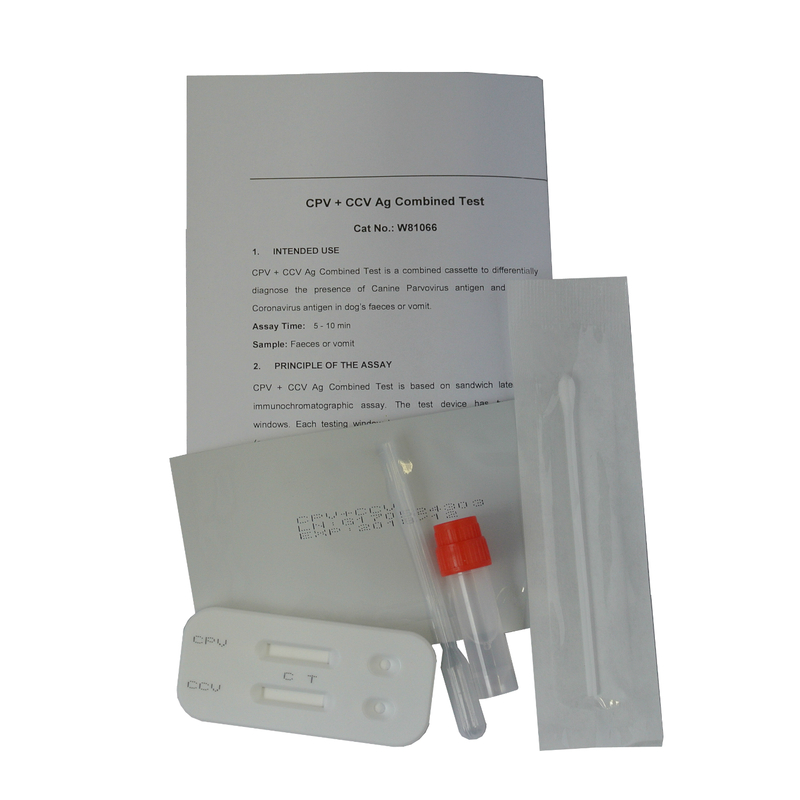 The symptoms of CCV can look like a number of other illnesses such as food intolerance, mild poisoning or the early stages of more serious infections such as canine distemper or canine parvovirus (CPV). An initial faecal test can be done. It is likely your vet will then want to go on to do further blood and urinalysis tests to confirm the cause. What treatment is there for CCV? There is no specific treatment for CCV. Most healthy adult dogs will recover from the infection without treatment. Supportive care such as ensuring your has plenty of water to drink, has a bland diet and possibly given probiotics and multi vitamins to aid recovery. However, some animals can suffer with diarrhoea for up to 12 days, and soft stools for several weeks. This may lead to dehydration with your dog needing hospitalisation. The infection can also cause inflammation of the small intestine, respiratory problem and possibly blood poisoning. In these circumstances, antibiotics may need to be prescribed. There is a vaccination available and is strongly advised for puppies. As the virus is highly contagious, a dog that shows signs of the virus should be isolated. Always clean up after your dog not only at home but when out in public. Protect your dog by preventing him coming into contact with any other dog’s faeces, where possible.